Review: I was very excited for starting this sequel, having just finished reading Time Between us, I was desperate to find out what was going to happen between Anna and the lovely Bennett. I wasn't disappointed by what I found! Firstly I was pleasantly surprised to find out that this story was actually from Bennet's point of view-it was interesting to have a change of voice for the sequel! I had to adjust my focus having just finished reading about their story from Anna's point of view but if you read these books separately, this won't be a problem for you! It was wonderful hearing Bennett's thoughts on things that went on between him & Anna and I was delighted to find that he over thought everything as much as Anna did and he wanted things to work as much as Anna did! In terms of the storyline, this sequel had just as much content and action as the first novel. If anything there is slightly more going on in this book because things have got a lot more serious and just a little darker! I liked the fact that the storyline was slightly more intense in this novel as I thought this was realistic in terms of this coues relationship. The issue of Bennett's time travel is also dealt with a little more in this novel, we get to hear about some of the pitfalls of his 'gift' and also what his family really think about his travel. Brooke becomes more of a main character this time around and I rely enjoyed learning a little more about her and what happens when she meets Anna. Anna really comes into her own in this sequel, she seems to deal with everything that is thrown at her in a much more nature way than in the previous novel, she has grown up and seems much more trusting that Bennett will do the right thing. Emma and Justin are still around providing a little more comedy to counteract the darker aspects of the novel. The storyline with Bennett and his grandmother is dealt with much more this time around and this, combined with some of the other darker areas of the novel, meant that I did shed a few tears, readers should be warned about this! Overall this was a rely great sequel, I am very disappointed that this is the end of the road for Anna and Bennett, I would love there to be another book to sort everything out. I'm sure, whilst not being disappointed with the ending, you will feel the same way too. 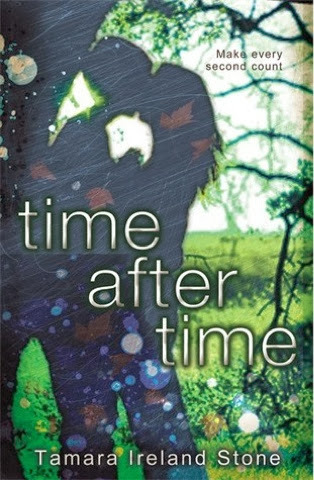 A great sequel and a must read if you were a fan of Time Between Us, I thoroughly enjoyed my Tamara Ireland Stone Marathon!